Hello neighbor! 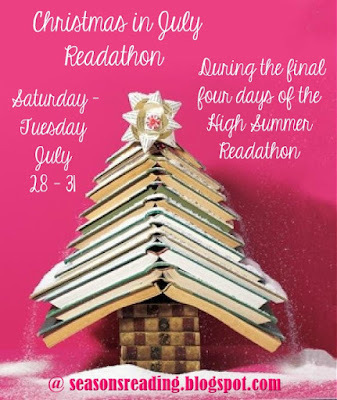 The High Summer Readathon, hosted by Michelle at the True Book Addict/SeasonsReaading, is coming. The official dates of the readathon are July 1 through July 31, starting at 12:00 am Sunday the 1st, and ending at 11:59 pm on Tuesday, the 31st. Click the banner below for more details and to sign up. I plan to read some books in the Clique Series by Lisi Harrison (middle grade). I want to give them away, but can't seem to let go until I read them. Sign ups are open at the Seasons Reading blog. There are giveaways and a Facebook group. You can check out the High Summer Readathon prizes here. I want to win the copy of Josephine Baker's Last Dance by Sherry Jones.